Whaaa! He is AWESOME. Congratulations. To die for! I love your entire combo! But your dragon is a stunning work of art. Does he have a name? 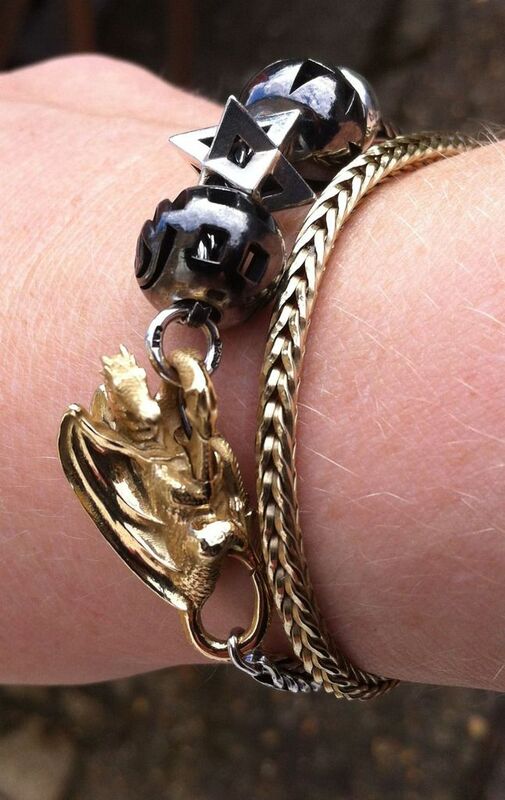 Hmm makes me want to sell all my trollbeads for Faerybeads lol. I'm blinded by the bling!!!! Looks great!! Congrats! @trollfinder wrote: To die for! I love your entire combo! But your dragon is a stunning work of art. Does he have a name? Great contrast with the dark silvers as well. Congrats! So awesome and beautiful. ah... what a sight, so majestic and looks extremely nice with those other Faerys. Congrats on your treasure! Wow wow WOW. Your dragon is stunning, and I love your other beads too! No wonder he is so happy there! It looks a gorgeous combo! Your Drogon is really a stunner!